Some exciting news for you today! 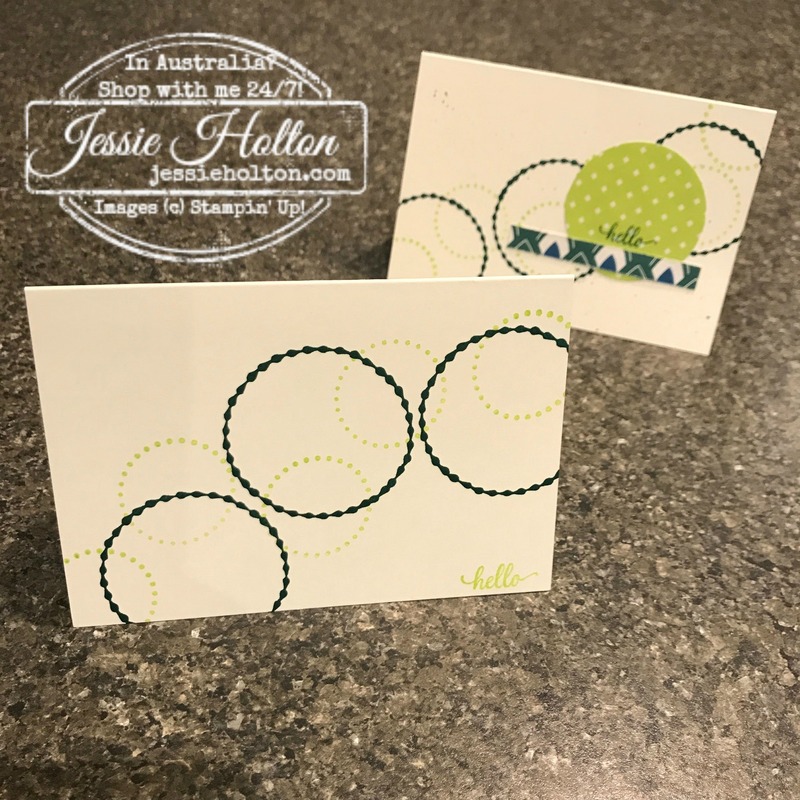 It's Blog Hop time!! Today we are CASE-ing (Copy & Selectively Edit) the wonderfully talented Jeanette Egemann, who is also joining us on this hop! I hope you find great inspiration from all the projects in this hop. You may be starting the hop here at my blog (Jessie Holton) or you may have come from the previous person on the list. Be sure to click on the next person in the list to continue your blog hop adventure casing Jeanette's work. 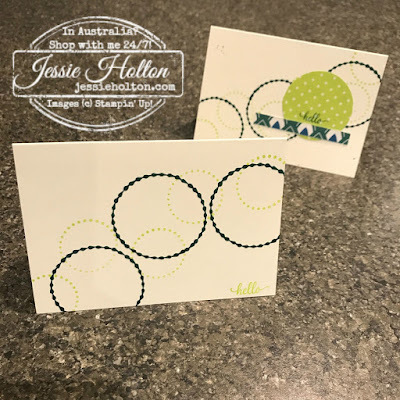 I've used the new Very Vanilla Notecards & Envelopes (20 pack) as they make organising for a party so easy & the Vanilla is a coordinating colour for the Eastern Palace Designer Series Paper (DSP). I've only used two colours, both new, Lemon Lime Twist & Tranquil Tide. The Eastern Palace DSP has three of the five new InColours in it. 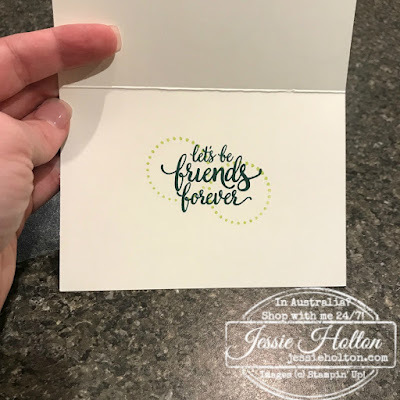 We also flicked the Tranquil Tide Stampin Write Marker for a little splatter of colour across the card front. These were really simple for everyone at the party to replicate & adjust to make their own. Everyone had lots of fun playing with this beautiful stamp set & we stamped the inside to match as well! 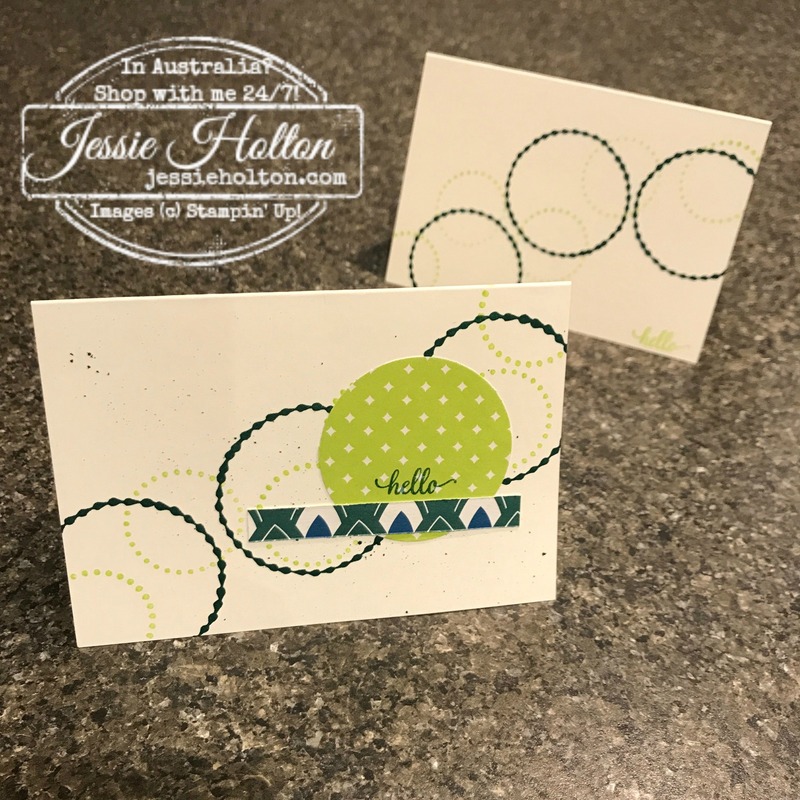 I hope you have enjoyed my cards today & that they have inspired you to have a play with some Clean & Simple (CAS) designs! Make sure hop around the rest of the team to see all the beautiful projects that have been made, you don't want to miss any!